To add WysiBB on website, you must add a few lines of code to the page. 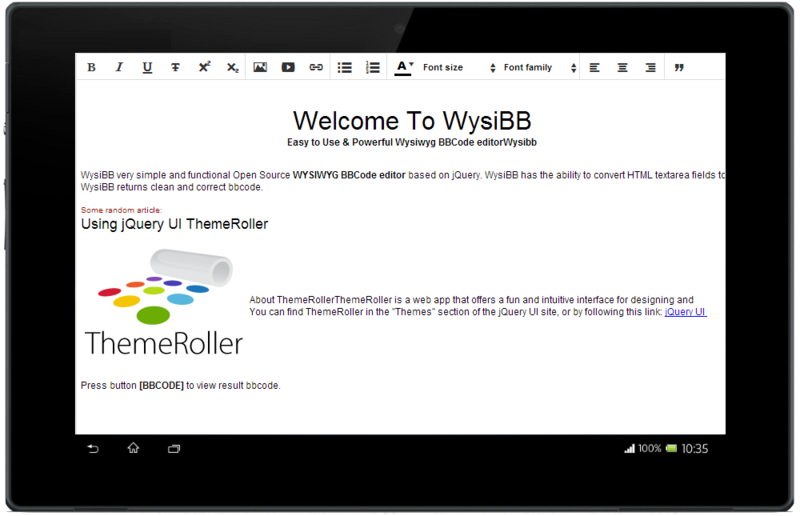 WysiBB support all modern browser on PC, tablets and mobile devices. 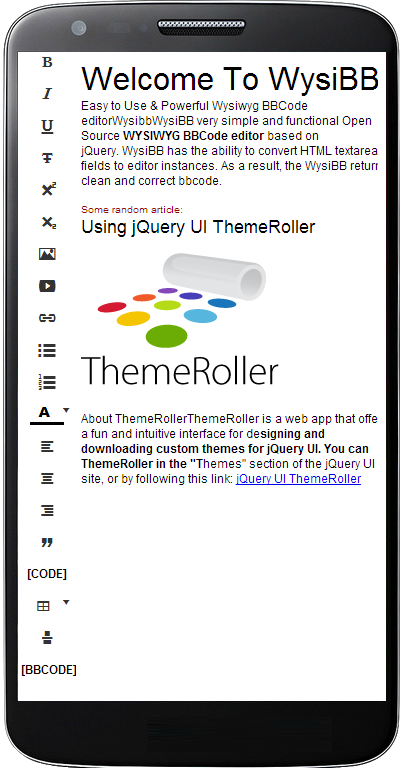 WysiBB based on jQuery and works really fast. Do not believe, try it. WysiBB works fine on all modern browsers (like Chrome,Mozilla,Safari and IE) and on all mobile devices running Android 4 +, Windows Phone 8 and iOS.